As 2018 came to a close, the housing market saw a seasonal decline in home sales across the Denver Metro Area. Homes are spending a few days longer on the market while average sold prices continue to moderate. View the December 2018 REcolorado Market Watch Video. Download the December 2018 REcolorado Market Watch Infographic. Download the December 2018 Detailed Market Watch Report. December saw sales cool a bit, which is typical as the holiday season sets in. Throughout the month, 3,655 homes sold, 17% less than last year, and a month-over-month decrease of 1%. The year ended with sales 5% lower than 2017. The number of homes that moved to Under Contract in December was 7% higher than last year. Throughout the month, contracts were placed on 3,239 homes, a 14% decrease from November. The rate at which home prices are increasing is continuing to moderate. In December, the average price of a single-family home inched up 1% month over month to $463,916. As compared to last year, prices are 4% higher. 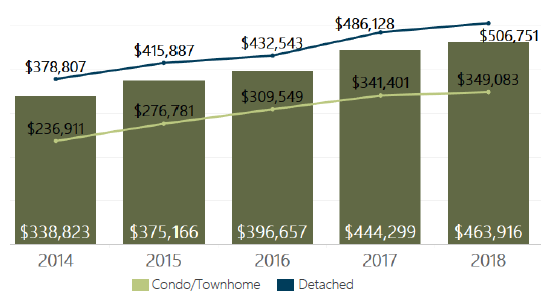 In December, the average price of a single-family detached home was $506,751 up 4% year over year. 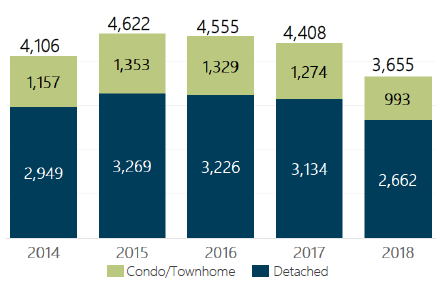 The price of condos/townhomes rose 2% year over year to $349,083. In December, the number of new listings of homes for sale saw a seasonal decrease. 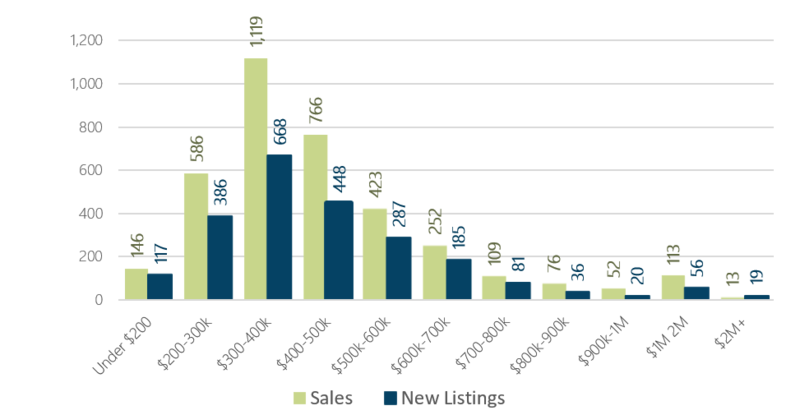 In the greater Denver area, 2,303 new listings were brought to the market, 41% less than last month and 3% less than last year at this time. The count of active listings of homes for sale also decreased. At the end of December, there were 5,795 active listings, 32% less than last month and 51% higher than this time last year. We have 7 weeks of inventory, 1 week less than last month, but 3 weeks more than last year at this time. In December, homes spent an average of 56 days on the market, 11 days more than last month and 6 days more than this time last year. 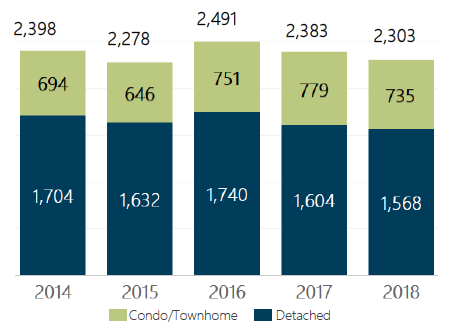 On average, single-family detached homes were on the market for 51 days, while condos/townhomes were on the market for 70 days. The median amount of time a home spent on the market in December was 28 days, 11 days more than this time last year. 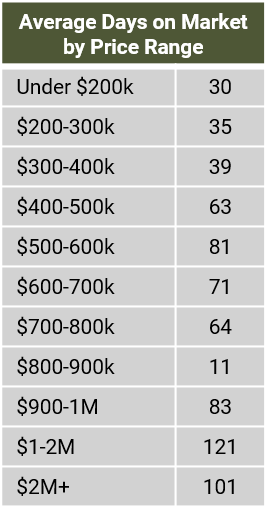 Half of all homes on the market are selling in 3 weeks or less. In December, sales outpaced new listings in every price range, with the exception of $2M+, pushing inventory levels down 18% as compared to last month. The $300-400,000 price range saw the most activity with 29% of new listings and 31% of listings sold. At the end of December, there were 1,069 active listings on the market in the $300-400,000 range. 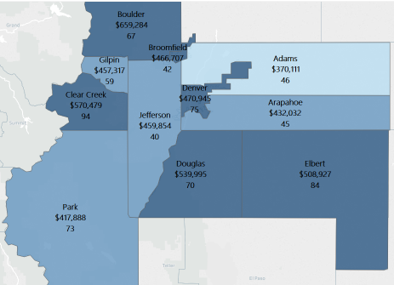 In the Denver Metro area, 2493 or 45% are located in Arapahoe or Denver Counties.